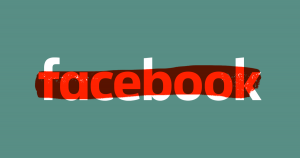 But according to a new study, there may be further benefits to quitting Facebook. Researchers from Stanford University and New York University found that deactivating Facebook helped some users reduce their online activity, increase offline activities including socializing with family and friends, and reduce political polarization. The results are encouraging: the participants that deactivated their accounts freed up an average of one additional hour a day. Some users used that time to watch more TV or spend time with family and friends. But the group who deactivated was also “less likely to say they follow news about politics or the President, and less able to correctly answer factual questions about recent news events,” according to the paper. While we have to take these results with a grain of salt — the midterm elections were a particularly charged time politically — they aren’t surprising either. After all, we already knew that spending time with loved ones will lead to healthier and happier lives. Does the good outweigh the bad when it comes to Facebook? That entirely depends on your definition of good — we’ve got plenty of evidence of the bad.